His early days on the Chichester gravel pits gave Dave just the edge he needed when he concentrated on the Colne Valley pits, Harefield and Pit 4, but it was Dave’s move to Wraysbury and Horton that put him in the record books, catching more forties than any Englishman had ever caught in a season, and his first fifty pounder, Mary. Conningbrook saw Dave with his second fifty a short while later, but this was only the beginning of a life spent chasing the UK’s biggest carp. The Eye was virtually unheard of when Dave made it number three, and what an awesome creature it turned out to be, without doubt a worthy front cover for this volume. Several Cambridge pits fell to Dave’s approach and soon the Grey Lady made it four. 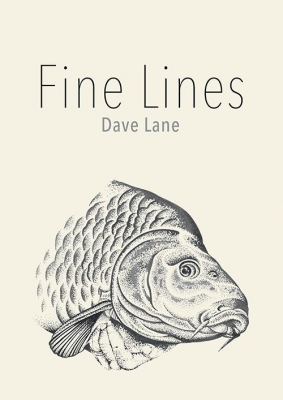 The whole of the carp world knew when Dave made it five, and what fish it was going to be. 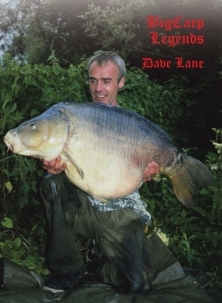 The icing on the cake, the Black Mirror from the notorious Mere had seen Dave achieve the impossible – five English fifties. This special addition to the Legends series features several chapters with tales never written about before and many, many pictures never previously published. Now’s your chance to sit back and hear the full story of Dave’s amazing carp life for the first time.